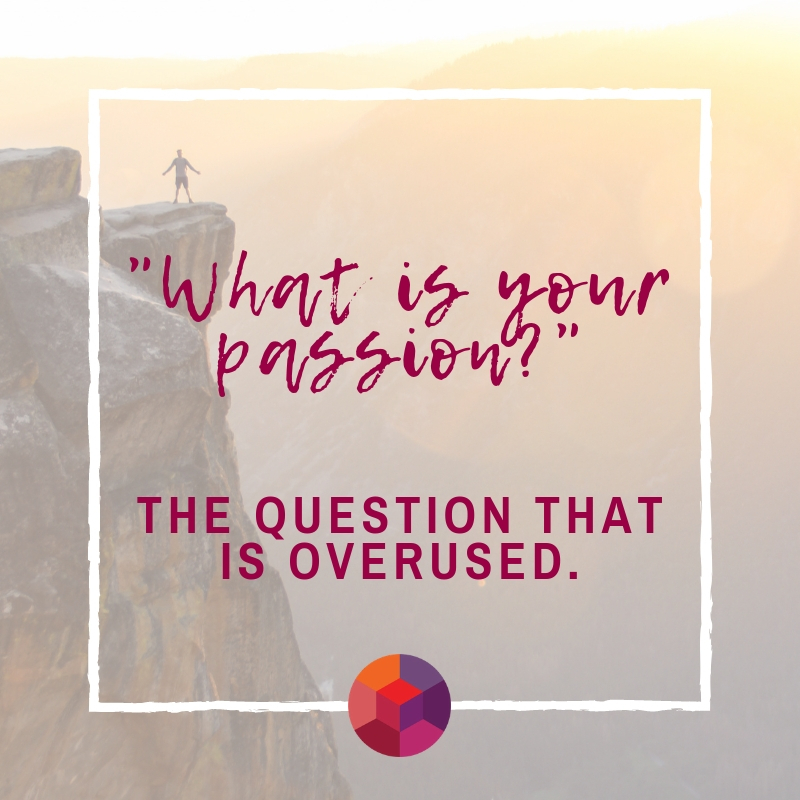 When figuring out what kind of impact you want your career to have on you and the world, the one question everyone asks is, “What is your passion?” If you find yourself overwhelmed by this enormous question, wondering what your one true passion is and how you can possibly turn it into a full time gig, you’re not alone. This is a big, expansive question, what IS your passion?? You may easily have a hundred and one answers, or, you may struggle to even come up with one. Let’s break down this question to get a clearer idea of who you are, what you want, and what you do and don’t like doing. Whether you’re starting fresh or looking for more satisfaction in your current role, there are a few more useful questions you should be asking yourself to find your direction. 1: What can I do that will help other people? You might wonder how this question can help, but usually when you start a conversation around this topic you brainstorm all the things you might want to do and things you actually can do. Likely there are only a few of those things you can actually turn into a career. Narrowing in on what you can do will help you recognize important values and skill sets that you can focus on finding in your next position. Knowing yourself, your values, and your abilities is crucial in helping your discover which of your passions you can possibly turn into a full time gig. If you cannot turn your greatest passion into a profitable career, use these ideas to weed out potential jobs that don’t offer the opportunities to perform your answers in some capacity. 2: What would my ideal workday look like? You probably already have a tired, old idea of what your best workday has looked like so far. Push this aside and dive into what your dream workday would look like. Do you stop at your favorite coffee shop for your morning meeting? Do you jump on a plane with your team and fly off to a sales conference for the weekend? Do you perfectly deliver your big idea pitch and bring in the new account? Do you have flexible time during the day to workout or do yoga in between completing your tasks? Do you work with a lot of inspiring and energetic people? Do you fly solo in a nice quiet home office where you can comfortably manage your own time? Whatever your answer looks like, this can become a list of must-haves for your new professional goals. Be as specific as possible; the little things in your list will point out where you crave things such as freedom, flexibility, creativity, collaboration, stability, and direction. 3: What pushes my buttons? You have some idea of what you want, but don’t forget to ask yourself what you don’t want. Think about times that you have encountered a situation that you would have readily avoided if possible. This doesn’t mean to simply go through jobs and list off the ones you didn’t like. Really think about your personality here and where things have come up at work that definitely rubbed you the wrong way. Look for experiences where you were not happy no matter how hard you tried. Perhaps there was something you could not get a handle on, or something you were not good at that left you feeling badly. Look for events or responsibilities that you were not comfortable with. This is not to dwell on the negative, this list will give you a clear answer to what you should avoid in your next position. Think about how this list relates to your personal values and how they might align with what you do or want to do on a daily basis. These answers will also help you craft your perfect workday! You may find it hard to nail down your true passion. Finding out what you want to do with your career and where you belong will not happen overnight. Take the time to sit down and brainstorm your honest answers to these questions. Uncover the hidden truths in your experiences and what your dreams are to bring them together cohesively to identify career goals that are right for you. Having these discussions with yourself will definitely help you map out your pathway. Not everyone can be a famous pop star, revered inventor, or prominent political figure, but, you can absolutely live your best life today in a career you are good at and truly enjoy!